In The Second Amendment, Michael Waldman traces the ongoing argument on gun rights from the Bill of Rights to the current day. Now, in The Fight to Vote, Waldman takes a succinct and comprehensive look at an even more crucial struggle: the past and present effort to define and defend government based on 'the consent of the governed.' From the writing of the Constitution, and at every step along the way, as Americans sought the right, others have fought to stop them. 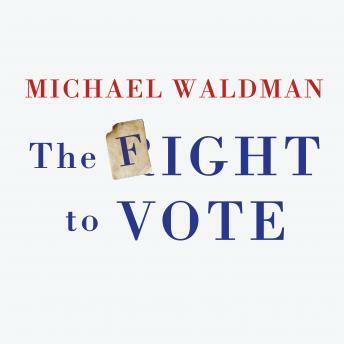 The Fight to Vote, meticulously researched and thoroughly compelling, recounts the entire story, from the Founders' debates to gerrymandering and voter ID laws.